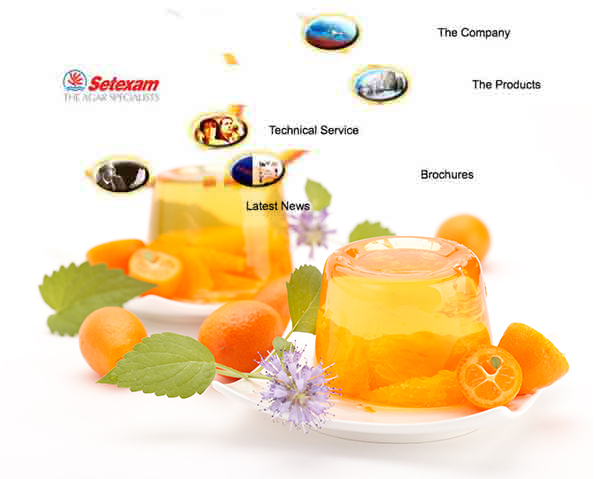 The company SETEXAM’s manufacturing plant is located in Kenitra close to Rabat in Morocco and has been producing agar agar since 1960. The main raw material from which the AGAR is extracted is the seaweed « GELIDIUM ». Collecting the seaweeds can only be done manually by specialized divers going to 10 m deep in summer, only along the Western Atlantic coasts of the Kingdom. SETEXAM also uses the « GRACILARIA » seaweed for certain productions. At present, the Gelidium seaweed market in Morocco is heavily regulated by the Government. SETEXAM was the first producer of AGAR in the world to develop ( and patent) « QSA » agar : quick soluble agar , which solubilizes quickly in 80°C. « Classical » agar requires to be boiled for 20’ before developing its thickening and gelifying potential. The invention of QSA significantly enhanced the range of applications of agar in various fields. SETEXAM produces a large range of classical and QSA agar types, thickening agars, gelifying agars and also biological agar « Naturagar ». The application services department is proactive in assisting its customers to develop and optimize new and existing products.